Hikone Castle – Shiga Prefecture. 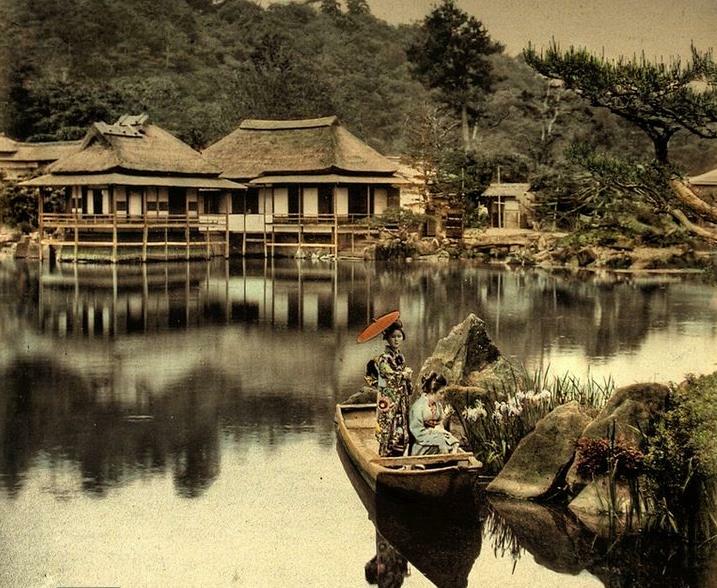 My photos and Meiji Period photos. I visited Hikone castle in January 2015 with my friend Ohara san. It was a cold and snowy winters morning but we were determined to see this beautiful original castle. 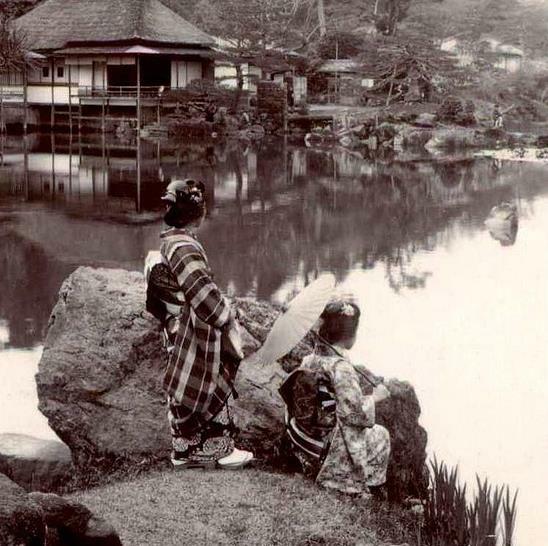 I have had a couple of old Meiji period photos on my hard drive for a while and I wanted to try and get to the same position as the old Meiji photographer did over 100 years ago. A couple of fantastic prints of Hikone Castle from the Meiji Period. Original B&W on the left and a colourised version on the right. This one is in a slightly different position with the women in a small boat. And here are my photos from nearly the same position. 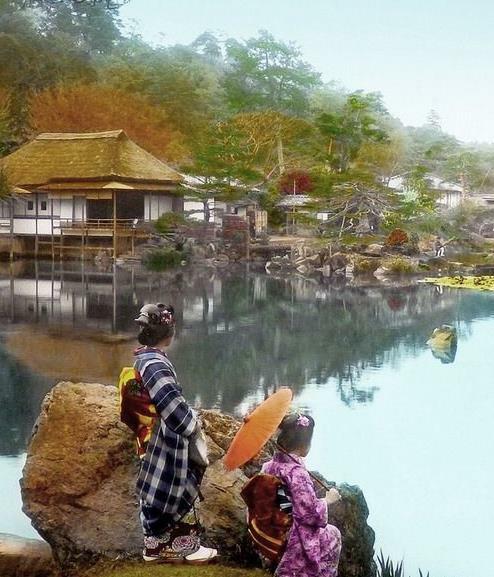 I think the lakes shape has changed a little because I was not able to get into the exact same position, unless the Meiji photographer was standing in the water. The water level in the lake is also shallower – I think because it was winter and some maintenance was being done. And here are some photos of the castle. I’d like to go back to this castle again in the warmer months when things are green. Next Post Rare account of feudal warrior’s daily life.